The possibilities for learning at Westville are endless. The school offers a broad, exciting curriculum that maximises pupils’ strengths, knowledge and talents. The curriculum encompasses all National Curriculum subjects and is hugely enriched, offering diversity and variety. The curriculum is taught in small classes by the Form Teacher in Pre-Prep with the addition of specialist teaching in Art, Music, French, Drama and Games. In the Prep Department this is further enhanced with specialist Maths, English, Verbal Reasoning (VR) and Non Verbal Reasoning (NVR), and Science. Our passionate and committed academic team sparks the imagination of every child and are always looking for creative ways to enhance their development. Visits to places of interest, theatres, adventure training and the annual ski trip are used as a means of broadening the child’s knowledge and experience. Form 4 enjoy a number of Residential activities including a science and geography field trip, a sports tour and adventure training programme. These trips help to build on a strong academic foundation, enhancing their social, creative and leadership skills. 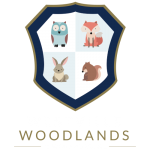 Westville’s approach to education enables pupils to become reflective, problem solving, independent learners and prepares them thoroughly for the next stage of their educational journeys.